We'll never know what President* Donald Trump promised his adult daughter Ivanka when he officially hit the campaign trail in 2016. Based on his rhetoric leading up to Election Day, one likely promise was that a Trump Presidency would be good for business. 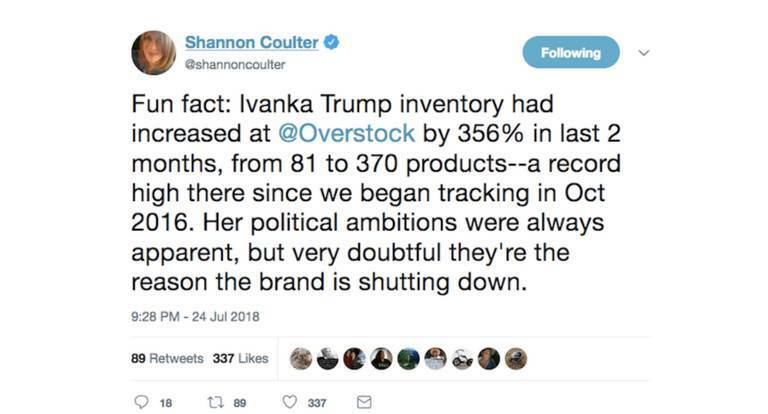 If that's the case, then it should be no surprise that the First Daughter's eponymous fashion line, Ivanka, shuttered its doors earlier this week. According to one tally, the President has broken every single one of his economic populist promises, and with his new tariffs he is well on his way to harming business owners, too. However, CNBC and other news organizations also took note of the #grabyourwallet boycott campaign organized by Shannon Coulter during the runup to Election Day 2016. The campaign urged shoppers to avoid stores selling items under the Trump brand, including the President's family. Participants in the campaign were also encouraged to contact stores and explain why they were shopping elsewhere. On October 11, 2016, Shannon Coulter and Sue Atencio announced a campaign to boycott companies that sold Trump products in response to Donald Trump’s infamous Access Hollywood tape. #GrabYourWallet quickly went viral. Today, 651 days later: Ivanka Trump has decided to shut down her eponymous fashion and shoe line. Shortly after the #grabyourwallet effort launched, Triple Pundit began exploring why some boycotts work and others don't. The answer is complicated on a case-by-case basis, but in general it boils down to simple common sense: brands that have already suffered reputational loss are more vulnerable to a successful boycott. In addition, boycotts are more powerful when they go beyond the consumer level to influence decisions at the business-to-business level. It's also worth noting that boycotts do not necessarily aim at putting a company out of business. Often, behavior change is the goal. That's why Coulter's decision to have participants boycott entire stores was significant. When #grabyourwallet launched, the Ivanka brand was already highly vulnerable to reputational loss due to then-candidate Trump's apparent admission of a series of sexual assaults, later confirmed by multiple victims. By focusing attention on the stores carrying Ivanka products, Coulter involved them deeply in Ivanka's brewing sea of troubles. The Ivanka Trump brand reputation took concrete shape after Election Day, when the true nature of the Trump presidency became apparent. Some stores reacted more quickly than others, with Nordstrom's being among the first major retailers to publicly shed the Ivanka brand last year. One last major holdout was Canada-based Hudson's Bay, which only recently announced that it would drop the Ivanka brand. The timing is interesting in that regard. According to Friedman's information, Hudson's Bay privately informed the company of its decision as early as last fall, when Trump's tariff policy first began taking shape. Within recent weeks, the full force of that policy has been hitting Canada among other countries, and Canadians have responded in kind. Earlier this month, news organizations reported that Trump's tariffs resulted in a noticeable increase in pressure on Hudson's Bay to drop the Ivanka line. By July 13, Business Insider reported that Ivanka-branded products had disappeared from the Hudson's Bay website, and the rest is history. As for Ivanka Trump's personal reputation, that has also taken a beating. When Trump took office, he established Ms. Trump as an official presidential advisor. Ms. Trump had already established herself as a career woman and mother through the Ivanka brand. 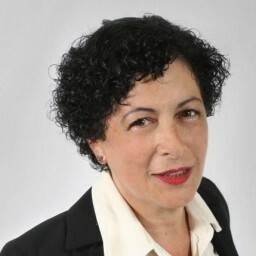 Her new position provided her with a uniquely powerful opportunity to transfer the "brands taking stands" concept into national policy. As described by Triple Pundit parent company 3BL Media, major brands are increasingly willing to take decisive, public positions on divisive, hot-button issues. In some cases, for example as with gun control, that willingness to speak beyond the bottom line is the direct result of a policy vacuum at the federal level. Ms. Trump could have had some powerful backers in the business community to help her make a forceful case for socially responsible policy, but so far she has failed to have any noticeable impact on the Trump presidency. In fact, her most visible accomplishments have to do with increasing her personal wealth, if not outright self-dealing. In one recent example, the Ivanka brand escaped unscathed from the latest round of tariffs against China, where the bulk of its manufacturing takes place. It's possible that a solid CSR strategy could have provided the Ivanka brand with a modicum of protection, but the absence of any social responsibility cushion at the brand level was only compounded by Ms. Trump's refusal to act on social issues as a top presidential advisor. When Ms. Trump says that "my focus for the foreseeable future will be the work I am doing here in Washington,"it's not too clear what she hopes to accomplish.